Enjoy waterfront and lakefront rentals at Lake Tahoe. Whether you are looking to relax and entertain in the summer or winter, our available housing can do both. Our Lake Tahoe lakefront rentals can accommodate as many as 12 guests -- a perfect opportunity to bring your family on a boating trip or skiing adventure! What makes our housing different is our unique selection; the rentals set each other apart in appearance and amenities. With this, we can definitely say we have the right Lake Tahoe lakefront rental for your needs. 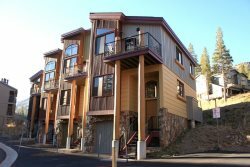 If you are searching for lakefront rentals to complete your vacation, we have them here in perhaps the most breath-taking place in the States: Lake Tahoe.